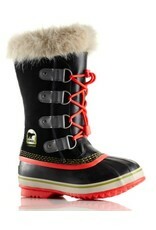 Sorel Youth Joan of Arctic Boots Black - Grow Children's Boutique Ltd. Perfect for the girl who wants to be “just like mom”, this pint-sized interpretation of the luxe and cozy classic Joan of Arctic integrates thicker insulation to ensure small feet stay warm in chilly winter conditions. With the same great faux fur snow cuff, waterproof suede leather upper and 2.5mm bonded frost plug as the adult version, your girl will be dry and protected as she basks in these playful and pretty winter boots. 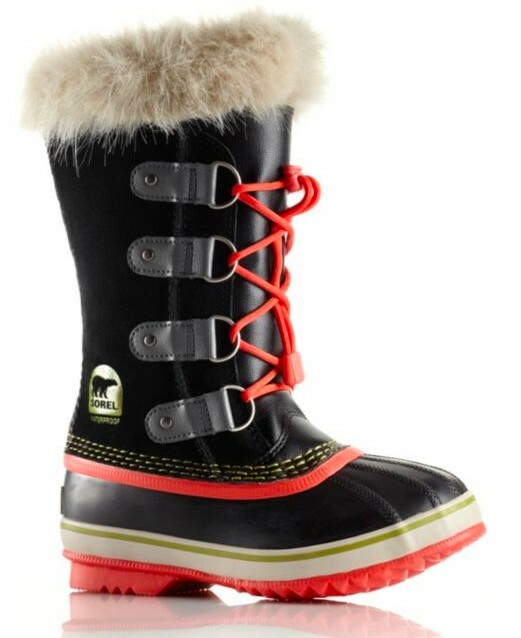 UPPER: Waterproof suede leather with faux fur snow cuff. INSULATION: Removable 6mm recycled felt Inner Boot. Weight: 26 oz/ 737 g.